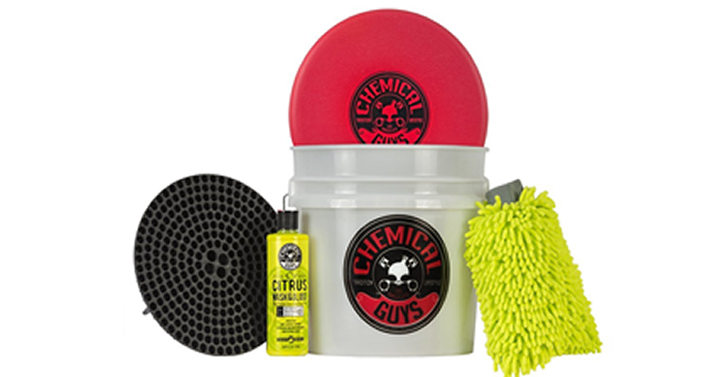 Chemical Guys Best Detailing Bucket Kit – 5 Items – Just $26.87! Was $49.99! Ready to wash all of the winter grime? How about a convenient car wash bucket kit? The rugged detailing bucket holds tons of soapy suds and the bucket filter screens out abrasive dirt and grime that causes swirls and scratches. The Citrus Wash & Gloss car wash soap cuts through grime with natural citrus cleaning power. Plus a snap-on lid for convenient storage and comfortable seat. Want one? If so, here’s a great deal! Get on over to Amazon to find the Chemical Guys Best Detailing Bucket Kit – 5 Items for just $26.87!